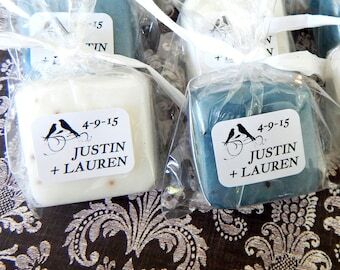 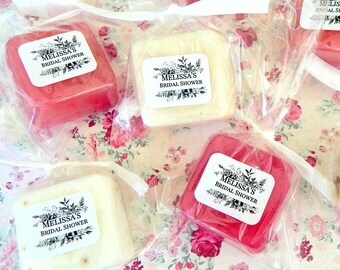 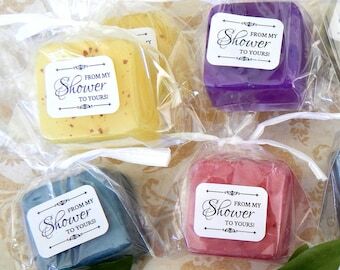 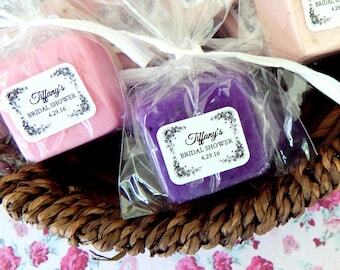 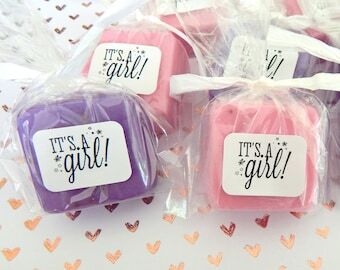 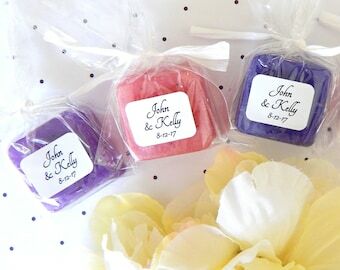 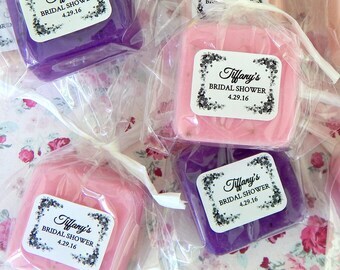 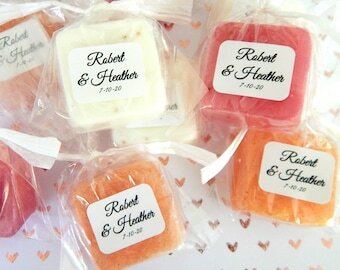 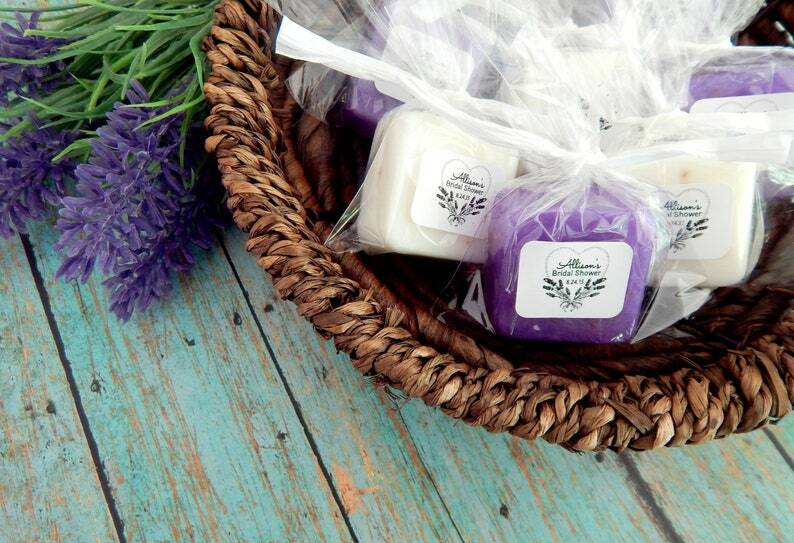 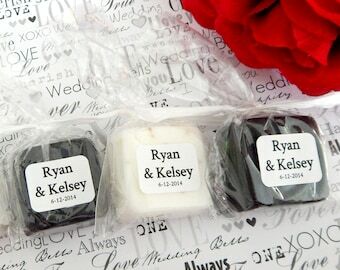 Our guest soap favors with custom lavender labels are the perfect gift for your lavender themed bridal shower, baby shower, or wedding party guests. 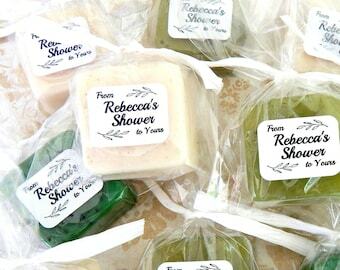 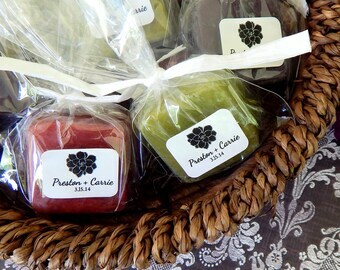 They are all natural and made with skin nourishing ingredients and natural exfoliants. 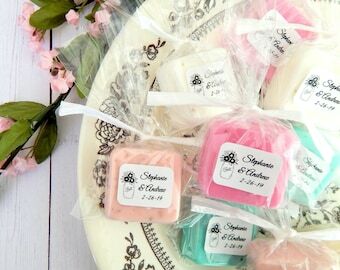 They come in an array of colors to match any occasion with many label design options that you can personalize at no extra cost to you. 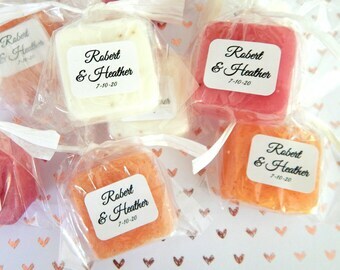 Just browse my store for ideas or message me and we'll come up with a unique design just for you!